Graduation is a momentous occasion that honors students and their achievements. It is the culmination of many years of effort and commitment from students and their families. We look forward to celebrating your hard work with you this academic year. 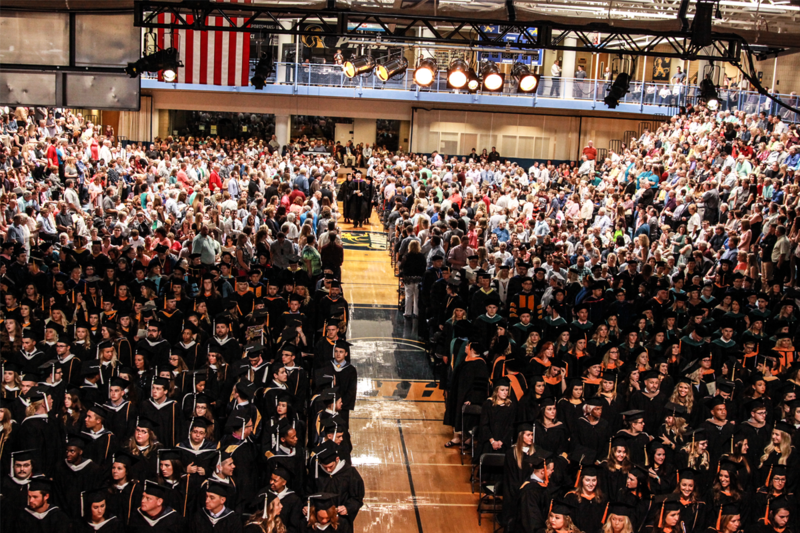 Clarke University has one official commencement ceremony for all students (undergraduate and graduate) completing degrees in December 2018, spring 2019, and summer 2019. The Baccalaureate Ceremony, which includes a hooding ceremony, will be held in the Robert and Ruth Kehl Center at 10 a.m. followed by the Commencement Ceremony at 2 p.m. Graduating students are encouraged to participate in both ceremonies. 11:30 a.m.- 1:00 p.m. Brunch is available in the Student Dining Hall, Mary Josita Hall. Tickets Required. Are you a Clarke Legacy? View a gallery of memorable photos from Commencement 2018!